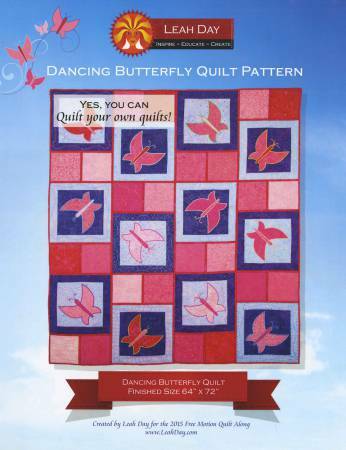 Join us on either Thursday, July 21 at 12:30 p.m. or on Saturday, July 23 at 8:30 a.m. (note earlier time) when Karen will demo Leah Day's Dancing Butterfly pattern. How can you demo a pattern? Well, let's just say this is very different from your typical pattern. 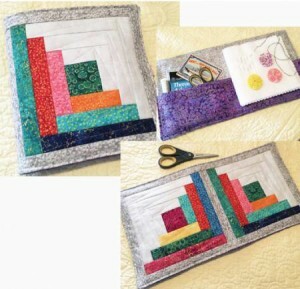 Dancing Butterfly is a quilt-as-you-go project that teaches you 24 different free motion quilting designs, step by step. It's really quite remarkable. Attend one of these demos if you . . .
During the demo we'll view one of Leah's short "how to" video (dozens are included with the pattern) and Karen will share all the tips and tricks she learned while working through this exciting process. So mark your calendar for one of these times . . .
Thursday, July 21 @12:30 p.m. It's not too early to start those holiday projects . 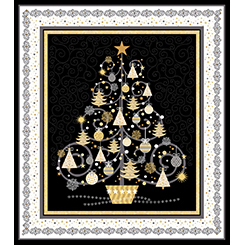 . . placemats, table runners, wall hangings, throw quilts, and gift bags. This traditional and very pretty collection arrived last week. This elegant nativity scene panel arrived today. 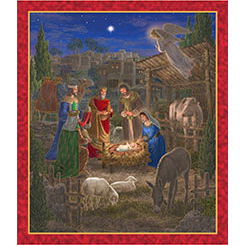 It would make a lovely wall hanging for your home or church. 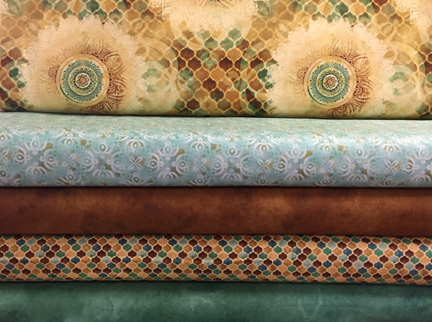 And this classy panel and coordinating fabrics also came in today. Black, gold, white, and gray with just a hint of metallic. This would look really pretty with a set of those tiny battery-operated lights woven in and/or some of our new crystals that are applied easily with heat. Look for Cortez Quilt Company at the Craftapalooza event being sponsored by the Cortez Public Library this Friday, July 22 from 2-4 p.m. Aimee has some fun projects planned for all the kids. 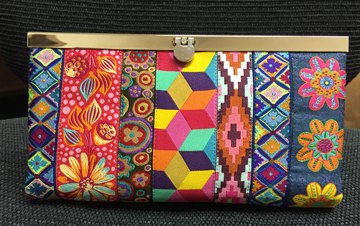 This handy case will hold all of your sewing notions – scissors, needles, thimble, and more. Youth classes are open to boys and girls ages 8-16. Aimee King will teach this class. 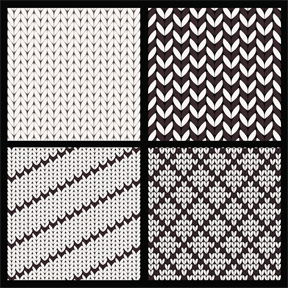 Anne Worthington will take the mystery out of reading knitting patterns and charts in this afternoon class. Bring a pad and pen to take notes. Join other interested lace knitters to make this beautiful Ethereal Scarf. 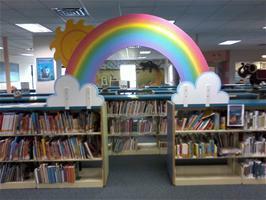 This is not a class but Dana Jensen and/or Anne Worthington will be here to help you over any rough spots. 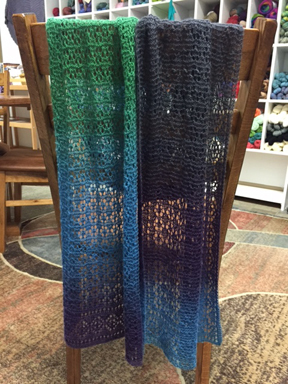 This scarf is knit with one ball of Zauberball Lace yarn on size 4 needles. We have a limited number of colors of yarn for this project so sign up early to purchase your favorite. We continue to celebrate Independent Retailers Month by encouraging you to support not only your local quilt and yarn shop, but also other locally-owned businesses. 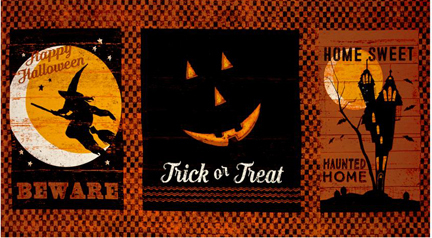 Check out these two special offers from Main Street merchants. 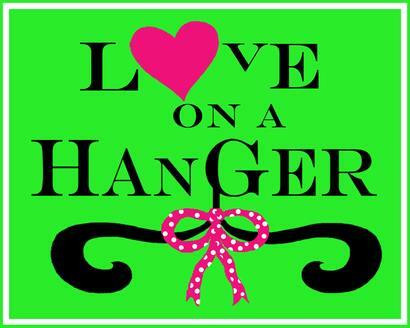 Visit Love on a Hanger before July 30th to pick up a free pair of earrings. Love on a Hanger offers clothing, accessories and shoes for all styles and sizes through 3 plus! Stop by or call Eclectic Aromas (37 E. Main, 970-560-0919) to book an Ionic Foot Detox before July 30th and save $10. 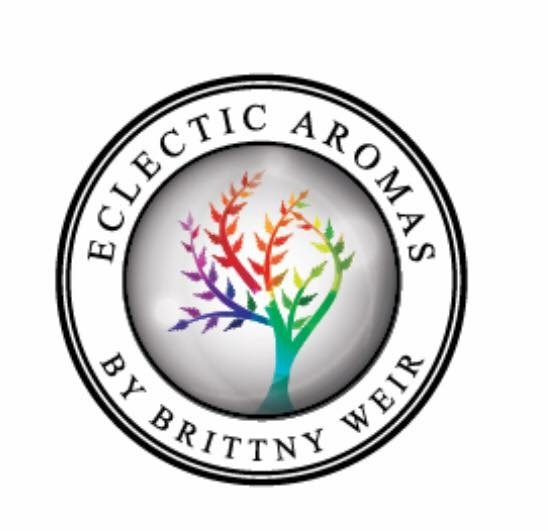 Eclectic Aromas offers a wide variety of essential oils, ionic foot baths, and salt lamps to promote a healthier life. Tourists and locals alike love Southwest and Native American prints. This collection is especially nice. 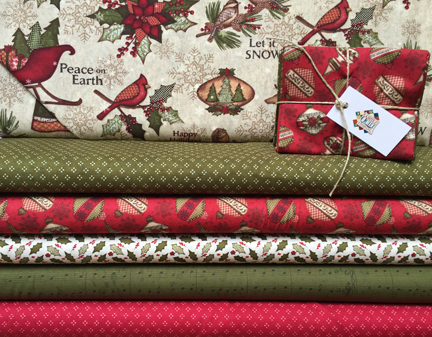 Phone orders are always welcome for any fabrics you see in our newsletter. Soft and elegant, this small group came in this afternoon. A quilt and matching pillowcases, perhaps? And isn't this just too cute! 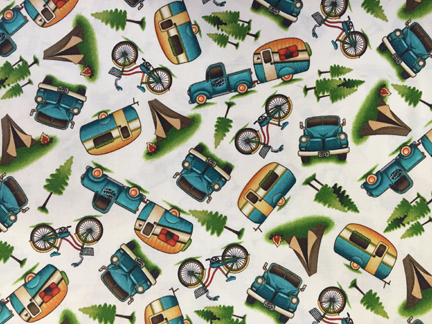 We're envisioning placemats and matching kitchen curtains for all of you campers and glampers! Halloween is not too far off. 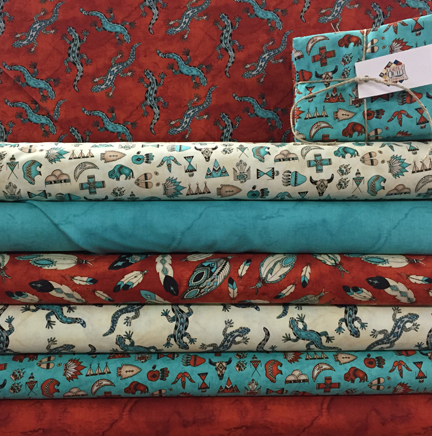 We have this cute panel and four coordinating fabrics. The smaller elements (the ones on each end) of this panel would make a cute Trick-Or-Treat bag, one image on either side. We're pondering making a door decoration stacking the panel elements vertically with some fun piecing using the coordinating fabrics.